The Northern Worker seeks to cover the class struggle in the Northland and beyond. We strive to cover and promote the anti-war, labor, anti-racist, feminist, environmental, queer, student and other social movements. We believe that through such movements working people develop the experience and confidence necessary to become the revolutionaries who will change the world. We seek to be a resource for workers and activists. The Northern Worker is published by the Duluth/Superior branch of Socialist Action. Socialist Action is a group of revolutionary socialists committed to the emancipation of workers and the oppressed. We strive to build movements and coalitions that challenge the various injustices that capitalism inflicts upon us. In the process we hope to bring activists together from different backgrounds into a revolutionary organization capable of overthrowing the capitalist system and replacing it with socialism. SocialistAction was founded nationally in 1983. But our history goes back much further that that. We politically and organizationally trace our roots back all the way to the founding of the American socialist movement in the 1800s. Our political program and approach to organizing draws from the wealth of experiences that we have accumulated in over a century of struggle. 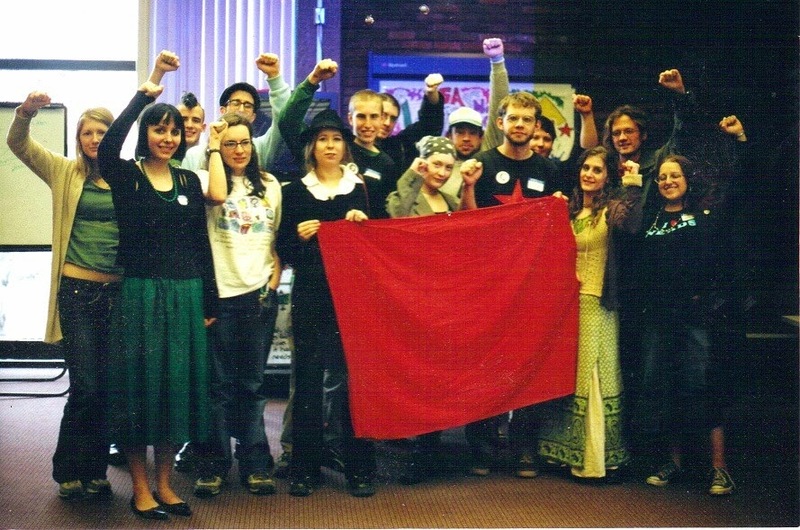 Our local branch of Socialist Action was founded in 1997. For more on the history of the group check out Our History page. Our members are active in a number of community coalitions, labor unions and student groups. We also occasionally run candidates for public office. We put most of our energy though into building coalitions around social justice issues. Elections can be a useful way to introduce revolutionary ideas to people, but we believe that real change comes from social movements. If you're interested in getting to know more about Socialist Action, feel free to contact us to set up a one on one meeting. We also hold public forums once a month on various current and historical events. These presentations are a great place to check us out and see what we have to say. Either way, if you like what you hear, we invite you to join us and become a member. Making a revolution is hard work, and we sure could use some help! When you join Socialist Action, you're expect to support the work of the organization by paying dues, being involved in our campaigns, and attending our membership meetings. Currently our membership meetings are monthly. At them we discuss the campaigns that we are involved in, plan our forums, and hold classes on political theory. If you're interested in possibly joining Socialist Action, check out our Join Us page.